Seriously, people must have lost their freaking minds. For fans, it must have been a reaction much like the one I mentioned yesterday to The Avengers. 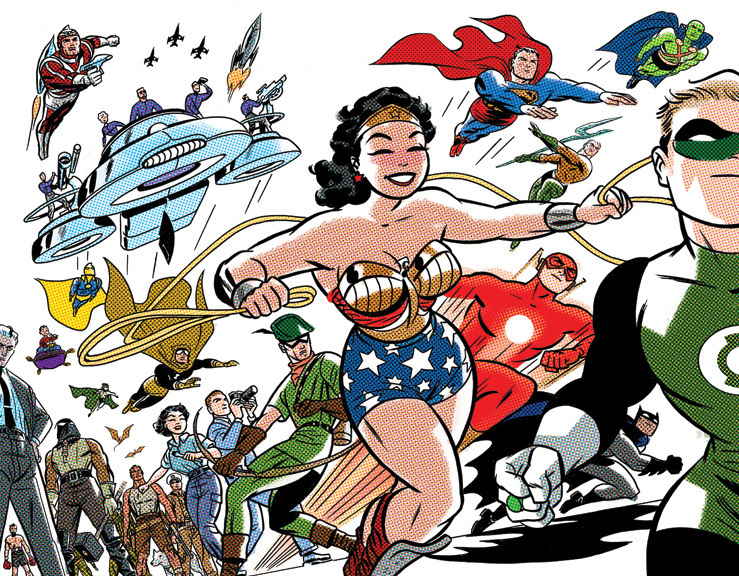 True, it wasn’t the first time they’d seen a super-hero on screen—Republic’s live-action The Adventures of Captain Marvel was released earlier that year—but the inherent freedom of animation gave the Man of Tomorrow’s cartoons a seamless coherence that made his world more believable than that of Tom Tyler’s Big Red Cheese. I first learned of the series reading Steranko’s History of Comics but it would be decades before I saw them for myself. I wasn’t disappointed. It’s no wonder Paul Dini and Bruce Timm used the Superman theatrical shorts as their template for their DC cartoons of the 1990s. Thanks to a thoughtful friend, I own the entire series on DVD. Writing this has made me watch ‘em all over again. Know what? I think I will! I summon Bud Collyer and Joan Alexander! Last Edit: Dec 20, 2016 9:28:14 GMT -5 by Cei-U! 2005-2007 was a rough patch for me, as I was out of work and a bit down on my luck. One way I kept my spirits up was watching the excellent block of animation every night on Adult Swim. Shows like Aqua Teen Hunger Force, Sealab 2021, InuYasha, and The Venture Brothers were a great escape. But the best of them all was Fullmetal Alchemist. Adapted from the manga, Fullmetal takes place in an alternate world where people called alchemists use the law of equivalent exchange to transform reality, at great cost to themselves and everyone around them. The plot is deep and complex, as teen prodigy Edward tries to unravel a deadly plot by demonic forces while also attempting to restore his brother Alphonse's body, which was destroyed in an terrible mistake when they tried to resurrect their dead mother using alchemy. Plus, there's a really twisty political narrative, as the seemingly benevolent ruler of the nation may have dark secrets - and the "terrorist" trying to kill him might actually have good reason. Oddly enough, though the show was a massive success and beloved by millions including me, they later reded the entire show from scratch with a second adaptation called Fullmetal Alchmeist Brotherhood, which is more faithful to the manga and is supposedly even better. I haven't gotten too far into it yet, though, because the original is just so good and holds a special place in my heart. This 8th day i choose Challenge of the Superfriends from Saturday mornings in 1978. 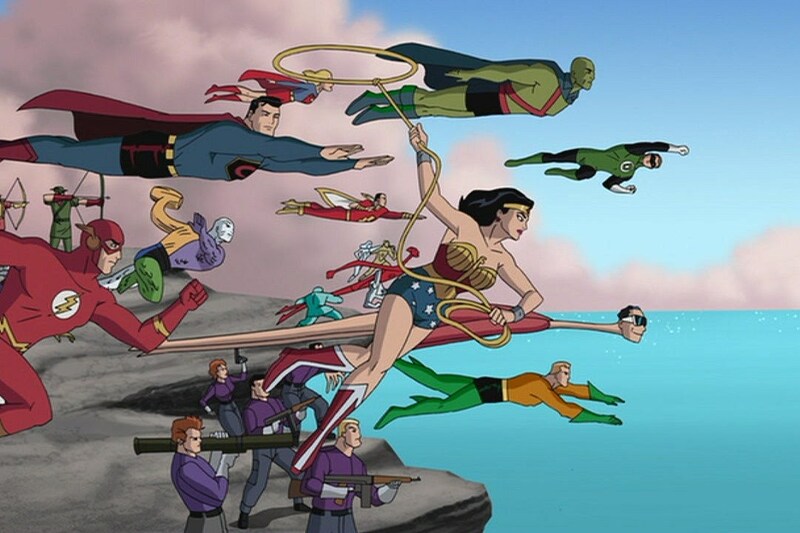 In my sophomore year of high school and fully into the comic book collecting mode and thinking i am done with getting up early on Saturday and Sunday to watch the kid friendly homogenized Superfriends along comes this version and i am suddenly again enjoying Superfriends. The introduction of the various DC villains into a Legion of Doom dedicated to eradicating the heroes creates new fun and excitement. Finally to see DC villains on television truly fighting our stalwart League of friends and the introduction of brand new culturally diverse heroes to stand beside the Superfriends rejuvenates this series and creates a renewed enthusiasm to getting up and not sleeping in on Saturdays. The Legion of Doom even have their own clubhouse, much cooler looking (and stylishly evil as it should be) which travels distances though it seems to like the dark dank murky swamps for hiding. The Villains are not all strong physical foes, some are mental, sneaky and they all argue and squabble among themselves and that is unique for a Saturday morning kids show. They are individuals, with flaws and ego's to match their false courage to defeat the S-friends. And they are not all Superman and Batman villains. We get Flash and Green Lantern and Wonder Woman and Aquaman Foes in the mix. YAY!!!!! This is Saturday cereal sugar high heavenly goodness. Watch your heroes on television and then outside for the day reading comic books and playing hero with your friends in the neighborhood. It is a great moment in time to be young......and remembered and cherished. Binge consumption and The Walking Dead go hand in hand in my case. I first read the comic when a good deal came up for the WD compendium #1, and after several hours of non-stop reading (nay... Devouring!) I was hooked. As I would go on getting the second and eventually the third compendium, I also got the DVD set for the first season when it became available... more out of idle curiosity than genuine interest, as I didn't expect it to be either as good as the comic or as good as critics made it. Ha!!! I was wrong! Although taking several liberties with the book, the TV show was excellent in its own right! It was pretty much the same as with the Game of thrones show. And then I got all the DVD sets as they arrived, until Netflix picked up the show. There were a few growing pains with the AMC adaptation... I disliked the idea of Darryl, for example. One of the most griping aspects of the comic was how inept most of the characters were, and how they had to learn the hard way how to survive in a world gone topsy-turvy; but here on the small screen, we had a new tough survivalist basically bred for this kind of environment. I thought it was a cop-out, until Norman Reedus's brilliant work make Darryl one of my favourite characters. The last episode of season one, with the mandatory "scientist uses technobabble to explain how things got this way" scene was the low point of the show, to me; luckily, it had little to no effect on the following seasons. After all these seasons, I'm still hooked. I didn't use to watch much TV in the past decade, but things like The Walking Dead were a big factor in changing that. 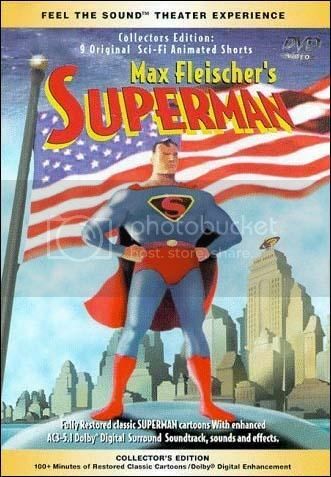 The show that nearly captured everything magical about Superman. All they got wrong was...well...Superman. If you can get past Dean Caine's laughable portrayal of Superman, as well as the poor special effects and bad guys that came with it, this series gave us the absolute best versions ever of a Post-Crisis Clark Kent and the newsroom family that surrounded him. In particular, Terri Hatcher is the best Lois there's ever been, marrying the strong-willed unstoppable nature of Margot Kitter with a hidden vulnerability and warmth that made us understand what Clark saw in her, and John Shea's Lex Luthor will never ever be surpassed. These characters felt more real to me on TV then they've ever since felt to me in the comics. It was a perfect show whenever Superman wasn't on the screen. This was probably my first introduction to comics—I remember seeing them at my grandparent’s house, which means I was four or younger when I started seeing them. Later, when my uncles moved in with us, I’d sit with my Uncle Peter in his room in the afternoon to watch it. 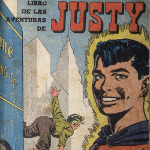 Since superheroics on an early TV budget was limited to mainly flying and bursting through walls, stories often involved convoluted criminal plots and rescuing Lois and/or Jimmy. But entertaining and not feeling like they were playing down to the kids—not too much anyway. Also: excellent casting. George Reeves remains my favorite Superman, maybe because he’s unmistakably a grownup, as well as usually the smartest guy in the room (whether as Superman or Clark). Noel Neil and Jack Larsen played their parts well and did a lot to keep the legacy of the show alive after Reeves death. Two thirds of today's choices thus far starred Superman. Interesting! You might know it better as Immortal. The film is directed by creator Enki Bilal, and features an entirely digital set-up, apart from a few actors. The sets, vehicles, cityscape and many characters are all digital, much like Skycaptain and the World of Tomorrow and Casshern. And, like both of those films, it is visually appealing and light on story. Just like the comic. The comic was filled with arresting imagery and the film is the same. 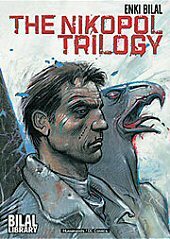 However, they share the same weakness; that Bilal is an amazing artist, but his solo stories are very esoteric and obtuse. His work with Pierre Christin is far more coherent and has a greater depth, in my opinion. However, his visuals draw you in to explore. The film is much the same. Unfortunately, it didn't have the Hollywood budget; so, the CGI characters, like Horus, are very artificial (video game-level). This is definitely something you have to be interested in seeing, as it won't necessarily entertain. It's much like the latter parts of 2001, rather than a fun romp, like The Fifth Element. Call it more a film painting than a story. I know, thats got old but it really is appropriate for Hellboy. Im a latecomer to Mignola's masterpiece. I'd been reading reviews about this weird looking character, and the seemingly innumerable spinoffs for some time, however I hadnt been reading comics for some years and Marvel and DC were the important stuff, right? Then this...this beautiful beast of a movie comes along, with its amazing cast, led by that fulla that used to be in Beauty and the Beast. What a revelation, what a character, what characters full stop. The cool thing for me was finding out after just how well they breathed life into them. Ron Perlman IS Hellboy, the jaw, the voice, surely Mike was channeling him as he wrote the books. I finally got the chance to start working through the huge back catalog of work a couple of years ago, inspired as much by the series of reviews here. Id tried a few before, random stories by a range of creators but nothing had inspired me. Loving the character, because of the movies, I decided to try reading from the beginning, like the reviews. Now thats what I should have done from the start, here was the seed of something I could get my teeth into. 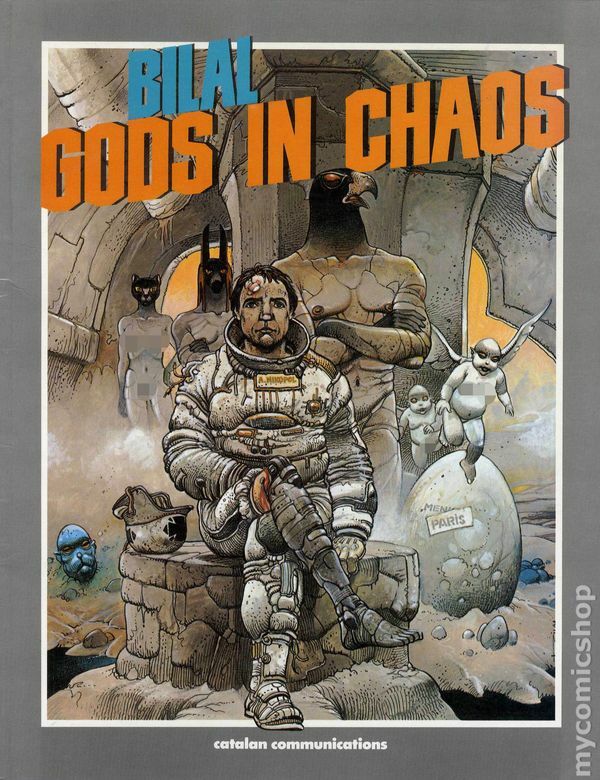 The more I read the more I was hooked, just an absolute masterpiece, storylines that took years to pay off, real people, real bad BAD guys, and all the while Ron Perlman's voice in my head (and the actor for Abe as well). So thank you Mike and Guillermo (?) and Ron cos without you I would have missed the ride. Hey how good is a movie inspired by comics that inspires a comic fan to read comics...like a beautiful circle of life man. 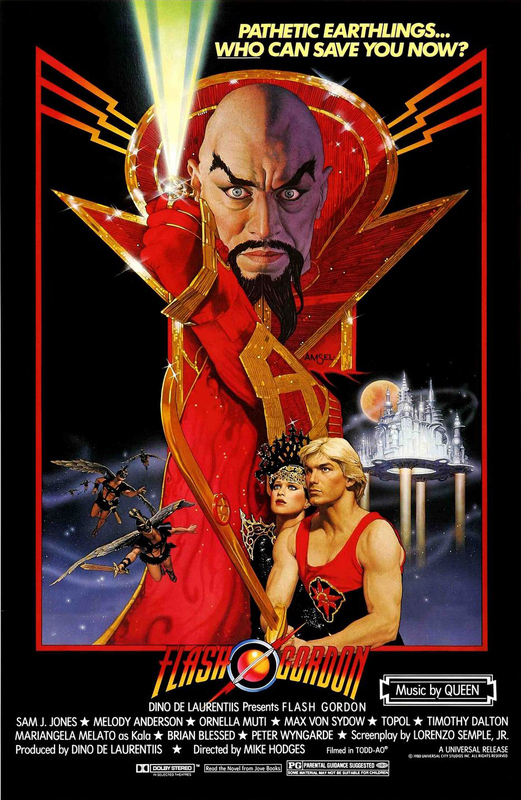 Flash Gordon, the 1980 Dino DiLaurentis cheesefest epic the sends shivers of delight through me every time I watch it. and the ultimate show stealer, Brian Blessed as Vultan! This is surely a cult classic because it has so many flaws, but dammit it's so much pure fun to watch every time, it never gets old and it always entertains. Long before I knew names like Barks or Rosa... heck, before I even read my first comic, there was this show. My list doesn't lean heavily on childhood favorites. For example, I am not including Teenage Mutant Ninja Turtles, which came out the same year, even though I loved it at the time. Ducktales is here because it still holds up. I hadn't watched in a while, but watched a few episodes to prepare for this Christmas list. And I decided this list would be for the shows I love, not the shows I once loved. And I think it's fair to say I still love Ducktales. It's just a great show. I now know the secret was drawing from brilliant comics. But it found the right balance between adventure and humor to engage me at age 6 and 36. I remember it most fondly as part of the Disney Afternoon, with other greats likeRescue Rangers and Darkwing Duck. And of course the inimitable Gargoyles. Disney Afternoon was a great reason to hurry home after school. Back tomorrow. Try to keep up! I know a lot of people now don't like this film. Jack is too over the top. Kim Basinger is stone-faced. The bat-suit doesn't work. Blah, blah, blah. Don't care. I was there opening night in 1989 and I was blown away by this film. And I've watched it a ton of times since and I always love it. It just works for me and I can turn my brain off and have a great time. The praises of this excellent series have already been sung, so I'm not sure what I can add to it, but I'll try. I started watching this expecting a standard superhero animated series (which these days are pretty good), but from the first episode I was pleasantly surprised. The characters were nuanced and well-rounded with believable flaws. And the heroes didn't always get (the series starts with Speedy quitting before the team is even formed). And the heroes were fallible, making mistakes that were believable given their immaturity and inexperience. The ongoing plot was fascinating. It got me tuning in ever episode for fear of missing some important plot development; which is rare for an animated series. The writing was excellent. When there was suspicion there was a mole on the team, there were several believable suspects. 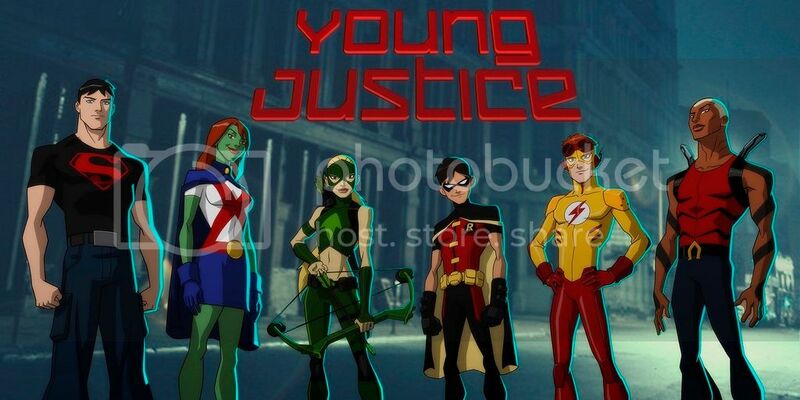 In first season, every character got at least episode focussed on them, and these were some of the best episodes: such as Kid Flash racing a transplant organ across country while various supervillains try to stop him. If I have a complaint about second season, it is that they expanded the cast a little too much. Did anyone really care about Lagoon Boy? But overall, this is one of the most mature 'kids shows' I have ever seen. It treated its audience with respect.